Tool free design, easy to install,Transfer Rates Up to 480 Mbps when connected to a USB 2.0 port,Transfer Rates Up to 5 Gbps when connected to a USB 3.0 port. System requirements:Available USB 3.0 port on the computer to achieve full 5 Gbps transfer speeds; Available USB 2.0 port on the computer to achieve full 480 Mbps transfer speeds; Windows: XP/Vista/7/8 (Both 32-bit & 64-bit versions) MAC: OS X.
Corsair SSD Mounting Bracket is designed to allow any Corsair solid-state drive to be mounted in available 3.5" hard-drive bay of desktop computer's chassis. 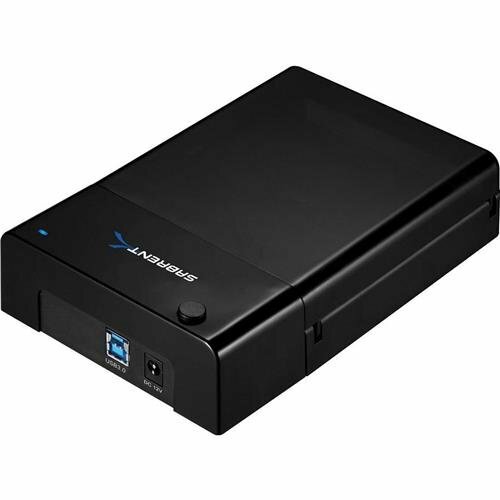 The Sabrent EC-DFLT SATA Lay-Flat Docking Station supports the direct insertion of Desktop 2.5"/3.5" SATA Hard Drives. 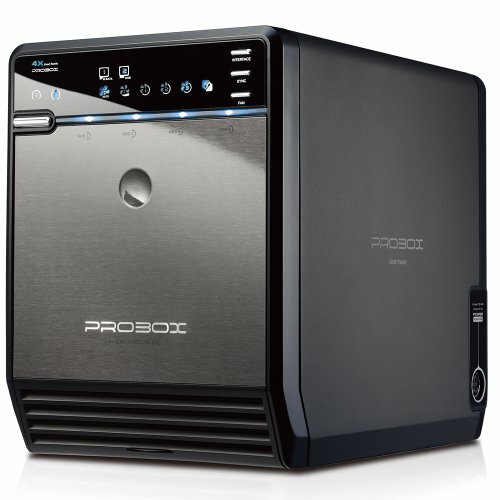 It is a caseless solution that makes swapping hard drives easier than ever before. Plus, now you can take advantage of the lightening speed of USB 3.0 to quickly transfer files up to 5 Gbps! Supports Standard Desktop 2.5"/3.5" SATA Hard Drives. .
Warranty information: 1 year limited warranty. When you register your new Sabrent product online within 90 days of purchase, your standard 1-year warranty coverage is extended to 2-years. 2.5" to 3.5" SSD Mounting Adaptor Bracket. Fits any PC tower case. Supports The ORICO 3588US3-BK 3.5 inch hard drive enclosure, or support casing, can support almost any 3.5 inch SATA I, SATA II, SATA III Hard Disk Drive or Solid State Drive up to a whopping maximum of 8 Terabytes! This device is compatible with most operating systems including Windows, Macintosh, Linux and Unix running on Desktops or Laptops. 20% Faster than traditional USB 3.0 with UASP Transfer Protocol; TheUSB Attached SCSI Protocol only can accelerate read and write speed of SSD hard disk. Featuring Installation can be done without the use of any tools and hard drives and solid state drives install and dismount quickly. Equipped with universal Plug and Play technology enables ease of installation and dismounting. There is no need to reboot and no driver is needed. The USB 3.0 connection offers data transfer rates of up To 5 Gbps. Technical Made from ABS plastic and metal materials makes this enclosure solid, sturdy and strong. The data transfer port is USB 3.0 and SATA III and the unit can support 3.5 inch hard drives up to a massive capacity of 8 Terabytes. Power is delivered to the unit by a 12 Volt, 2 Ampere adapter. 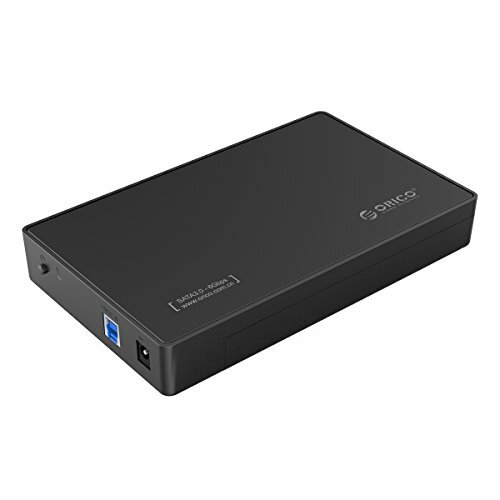 In the Box We provide 1 unit USB 3.0 3.5 Inch HDD External Enclosure; 1 unit 12V/2A US Power Adapter; 1 USB 3.0 Data Cable; 1 User Manual and 1 Warranty Card PLUS! ORICO's Worry-free Warranty Policy We provide an 18 month warranty period. The warranty coverage starts when the package is shipped. We also offer lifetime technical support for purchases made directly via our ORICO direct store. 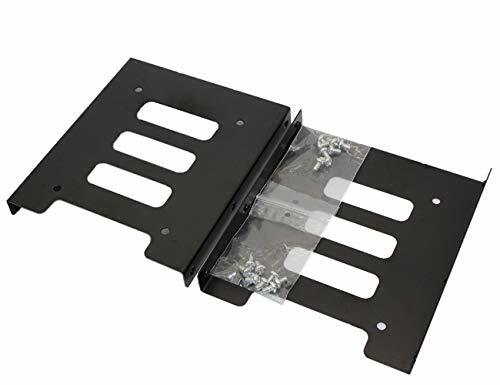 Support 2.5" Hard drives (SSD and HDD) and fits all popular PC casings if you want to mount 2.5" Drives into your PC and got a free 3.5" Slot, then this Inateck conversion bracket is the optimal solution meeting you requirements. It fits for 2x2. 5" Drives providing valuable space for additional PC components. 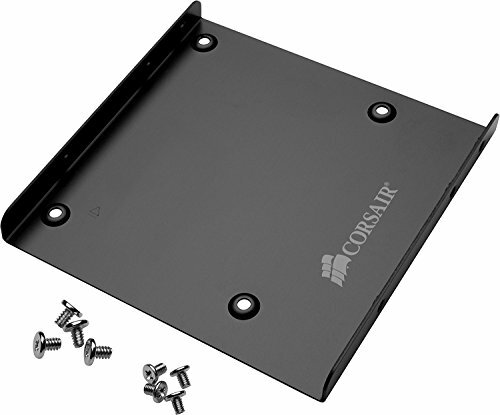 The frame bracket provides ample space for two SSDs or laptop HDDs measuring 2.5". 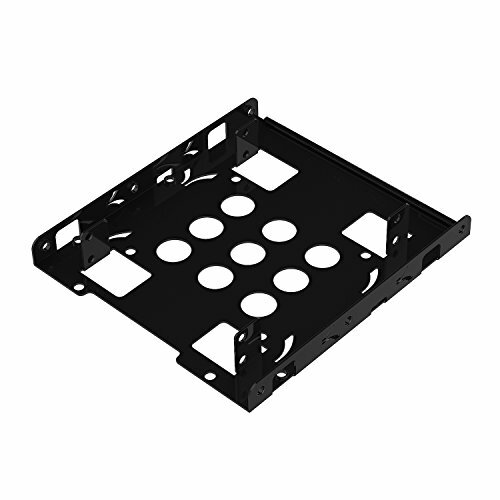 The Inateck conversion frame is therefore an efficient solution in casings with limited space for additional storage devices, especially Mini PCs, server racks, HTPCs or cube cases. Attention: HDD or SSDs are not included! Easy to install and disassemble apart from the conversion frame itself, The package further includes ONE small magnetic screw driver and screws. This dual bracket HDD frame is molded using high-quality alloys, is a precise fit and thus universally supports all common 2.5" Drives. At the same time, an uniform appearance of the PC's internal is ensured. Please note that this mounting bracket supports side mounting only. 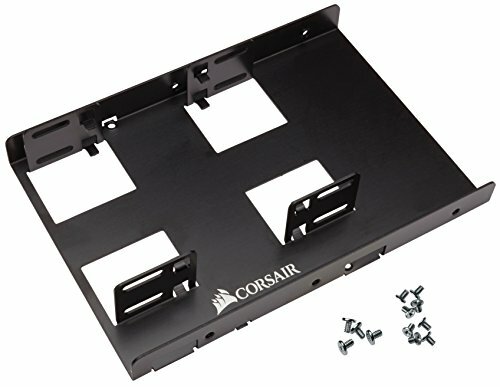 Specific screws for holes to mount bracket in the computer case are provided in the package. It's suggested to use the screwdriver to make those holes more suitable if customized/self-owned screws is preferred. Lightning-fast data transmission The data cable of the third SATA generation, also called SATA III or SATA 6G, feature a theoretical maximum bandwidth of up to 750 MB/s, while being downwards compatible as well. 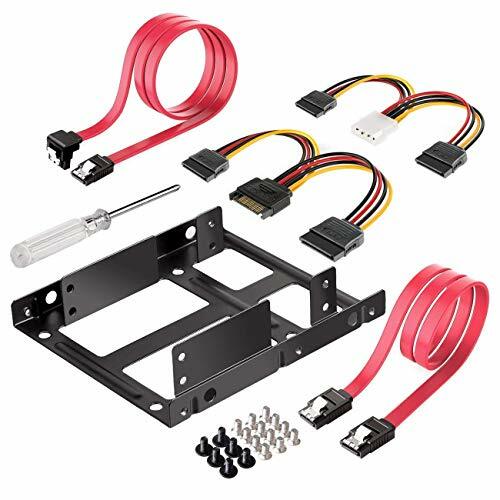 Apart from the conversion frame itself, The package further includes fitting power cables (ATX 4 pin to SATA), SATA data cables, one small screw driver and screws. Specifications: Color: Black Material: metal alloy special Feature: simultaneous installation of 2x 2.5" Drives compatibility: suited for all 2, 5" Hard drives, mountable in PC casings with one free 3.5" Slot package Contents: dual bracket conversion frame, 2x ATX power cable, 2x SATA data cables straight cable, 1 l-type Cable), 1x screw driver, 12 screws. Notes * Suited for 7mm and 9.5mm 2.5 inch hard drives; 12.5 mm hard drives are not recommended for this product. SuperSpeed USB 3.0 has a maximum data transfer rate of 5Gbps, This is 10 times faster than USB 2.0;20% faster than traditional USB 3.0, with UASP Transfer Protocol, which reduces CPU utilization, data delay and waiting time. This ORICO enclosure fits most 7mm/9.5mm 2.5 inch SATA I/II/III HDD SSD and supports max 2T. SuperSpeed USB3.0 has a maximum data transfer rate of 5Gbps, 20% faster than traditional USB 3.0, with UASP Transfer Protocol. Tool-free installation; hot-swap supported, plug and play; LED indicator; compatible with Windows, Linux and Mac. Transparent innovative design help you to distinguish which hard drive is inside. ORICO provide an 18 month warranty and lifetime technical support. 2.5" Solid State Drives (SSDs) or Hard Disk Drives offer many benefits over larger 3.5" hard disk drives, such as lower heat output, faster speed (with SSD), and lower power consumption. But installing a new 2.5" SSD or HDD into an existing computer may not be possible due to lack of 2.5" bay drive support. The Sabrent 3.5" to 2.5" Bay Drive Converter Kit easily transforms any available 3.5" bay drive to accommodate up to two 2.5" hard disk drives or SSDs. The Converter Kit is designed to work with all types of computer cases (screw-on type or tool-less type), and can be installed quickly. The adapter is constructed from robust SECC steel to ensure strength and integrity of the adapter. Compatible with all types of 2.5 hard drive. Including SSD DRIVES!!! USB 3.1 Gen 2 and NVMe SSDs let us exceed SATA III SSD performance! The Plugable USBC-NVME M.2 NVMe Enclosure is capable of raw read and write speeds up to 10 Gbps, compared to 6 Gbps with traditional SSDs. Performance depends on the capabilities of your NVMe SSD and host computer. 10Gbps connection requires USB 3.1 Gen 2 on the host computer; NVMe SSDs can run very hot and older drives may throttle, reducing speed, as they get hot. Thermal throttleing is especially noticable in large file transfers on older generation media. Our USBC-NVME's aluminum cover provides for airflow to the SSD and acts as a heatsink with fins for improved surface area and heat disipation. The adapter fits easily in a pocket or laptop bag and comes with removable USB Type-C and USB Type-A cables. Please Note: The aluminum cover radiates heat from the NVMe SSD and can get warm to the touch, please be careful when using the SSD for prolonged file transfers and if necessary, allow the enclosure to cool before handling. Native compatibility with Windows, Mac, and Linux, file system support depends on operating system. Compatible with M.2 NVMe SSDs in the 2280, 2260, 2242, and 2230 formfactors with tooless installation. Supports USB, USBC, and Thunderbolt 3 host computers. Not compatible with non-NVMe SSDs, or non NVMe M.2 PCIe devices. Some NVMe SSDs may have reduced performance caused by thermal throttling on large file transfers. HIGH SPEED: Connect your NVMe SSD to a USB-C Gen 2 or Thunderbolt 3 port at USB 3.1 Gen 2 10Gbps speeds. Capable of performance over 800MB/s read/write when using high performance NVMe media. Includes both USB Type-C and USB 3.0 (Type-A) cables. TOOL-FREE DESIGN: The world's first tool-free NVMe enclosure allows quick and easy installation of your M.2 NMVe SSDs. 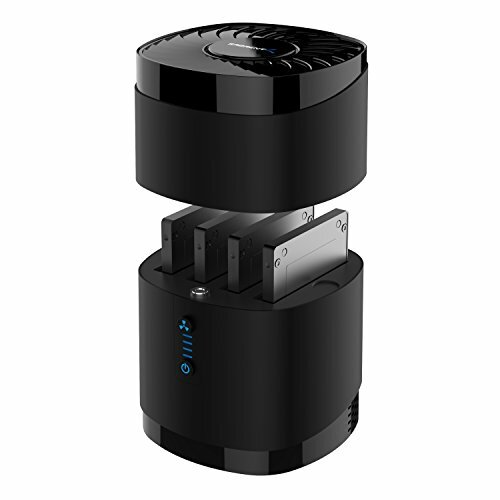 Compact and portable with a sleek black anodized aluminum with extruded fins to aid heat dissipation. COMPATIBILITY: Compatible with M.2 NVMe SSDs. Note: NVMe SSD is not included. Performance depends on host system, workload, and NVMe media used. USB-C Gen 2 or Thunderbolt 3 host recommended for fastest performance. USB-C Gen 1 and USB 3.0 systems supported at up to 5Gbps. Not compatible with M.2 SATA SSDs, M.2 PCIe AHCI SSDs, M.2 PCIe devices such as WiFi and capture cards, mSATA SSDs, and non-M.2 form factor SSDs. OS SUPPORT: Plug-and-play compatibility with Windows, Mac, and Linux. SSD file system must be supported on host operating system to be accessible. As with all SSDs, new media must be formatted before use. Add a second 2.5'' HDD or SSD to your laptop via the E-Modular (E-Module) Bay / optical drive bay with this drive caddy. 1. The 2nd Hard Disk Drive Caddy / Adapter to bring you new maximum data storage flexibility, with the compact portable design. Which works with 2.5" inch 9.5mm / 7mm Serial SATA Hard drive HDD and SSD (Solid State Drive) as well. With the second HDD in your Laptop. 2. The build-in lock screws make it easy to mount your second hard drive in the caddy. 4. Plug & Play; Fast & Reliable connection just as the primary HDD.Fully integrated into Laptop, no cables / PSU / software driver needed. 5. Dual boot, Support installation of 2nd Operating System on the 2nd HDD/SSD and boot selection. 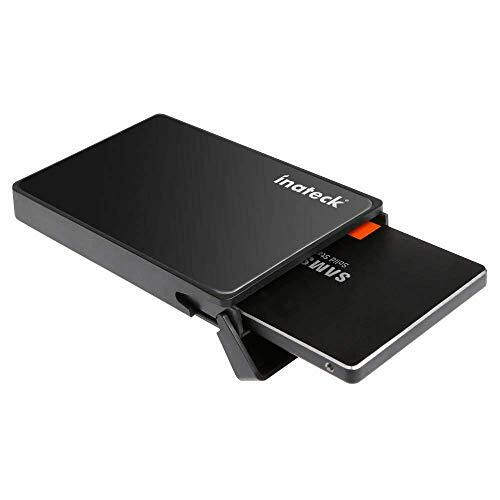 This device accepts 2.5 inch 9.5mm / 7mm high or less SATA HDD / SSD. Compatible with: DELL HP LENOVO ThinkPad ACER Gateway ASUS SONY SAMSUNG MSI Laptop which has a 9.5mm high CD/DVD-ROM driver. Fenlink FL1510 is to convert a 2.5-inch SATA hard drive or 2.5-inch SSD SATA hard drive to a 3.5-inch SATA hard disk converter, using the FL1510 product can convert standard 2.5-inch SATA hard drive or 2.5-inch SSD SATA hard drive to a 3.5-inch SATA hard drive installation specifications! 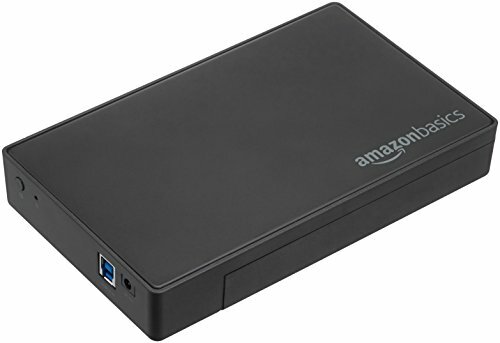 And support a different height of the 2.5 inch SATA hard drive or the 2.5-inch SSD SATA hard drive. Users can easily install the 2.5-inch SATA hard drive or 2.5-inch SSD SATA hard drives on the converter, and the converter installation and the ordinary 3.5-inch SATA hard drive installation exactly the same, can be installed directly on the mainframe or application on a variety of 3.5 inch SATA internal or external hard disk box. FenLink FL1510. Die casting aluminum alloy molding. The Sabrent NVMe enclosure allows you to transform your NVMe drive into a super fast ultra-portable pocket drive, this will enable you to copy and transfer data in no time.The Sabrent NVMe enclosure can be used for a variety of tasks including data transfer, high-speed storage, data backup, cloning existing drives, running a mobile operating system, and more. works with Windows. Great with Mac. Speed - USB 3.1 port supports data transmission speeds of up to 10Gbps for steady and efficient data transfer. Backward compatible with USB 3.1 Gen1 and USB 3.0. Easy setup - Hot-Swappable, plug and play, no driver required! Enhanced performance can significantly reduce latency. 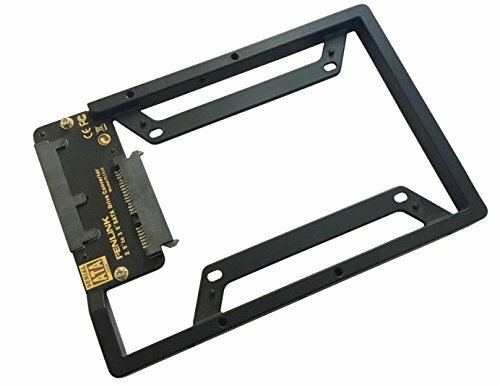 Supports Samsung 950Pro/ 960EVO/ PM951/ PM961/ SM951/ SM961. Design - Ultra slim aluminum alloy sandblasted shell. Sleek, durable, and convenient. Portable yet durable, Ideal for traveling. Heat management - Professional aluminum case. Designed with vents for heat dissipation and reduced power consumption. Compatibility - only for NVMe m-key M.2 SSD (Pie-based). does not support M.2 SATA based SSD (NGFF). applicable to sizes 2230/ 2242/ 2260/ 2280. Overview Support one 2.5inch SATA HDD SSD Hard Drive to your computer through an available USB 3.0 port on your desktop or laptop. Aside from the included USB 3.0 cable, you do not need any additional accessories to assemble or operate your hard drive. Reverse compatible with USB 2.0 and 1.1, this enclosure is a perfect solution for data transfers or data backup! 70% Faster than traditional USB 3.0, with UASP Transfer Protocol; The UASP Transfer Protocol only can accelerate read and write speed of SSD hard disk. Features Comprising of a top-grade Jmicron JMS578 chipset, direct conversion SATA-III to USB 3.0, HDD LED activity indicator Suitable for 9.5mm and below thickness 2.5'' SATA HDD SSD Super Speed USB3.0 offer Speed up to 5Gbps, Ten times of USB2.0 Compatible Operating Systems: Windows 2000/Windows Me/Windows 98/ XP /Vista/ 7/ 8 /10, Mac OS 9.1/10.8.4 above Automatic sleep and spin down mode, power saving and sustainable, effective protection of your drive, sleep mode entered after 10 minutes of data access inactivity Hot Swap , Plug and Play , No Reboot and Additional Driver is needed, Tool-Free Application Suitable for memory expansion with laptop PC; film, image and media processing, data exchange between computers in business, education, and household; quick and easy data backup. 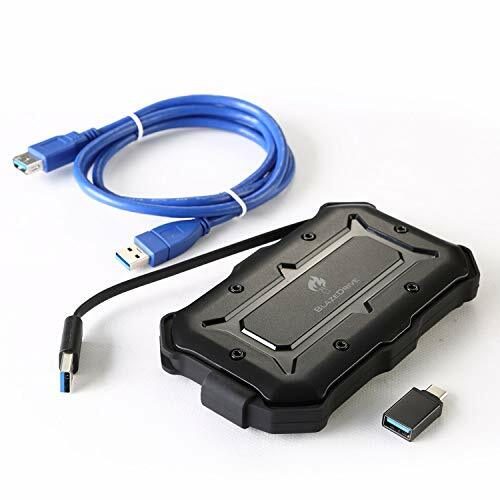 Suitable for 2.5'' SATA HDD and SSD; Converts any 9.5mm and 7mm 2.5'' SATA HDD/SSD into an external hard drive for ultimate mobility and convenience. Compatible operating systems with Windows 2000/Windows Me/Windows 98/ XP /Vista/ 7/ 8, Mac OS 9.1/10.8.4 above; Backward compatible with USB 2.0 /1.1 connections. Built-in foam pad, tested ABS plastic material, contemporary and reliable design for the best protection. Only support M.2(NGFF) SATA KEY B+M Dual Notch SSD Not compatible with M.2 NVMe or AHCI PCI-Express SSDs. 1. The actual transmission speed is affected by different working environments. 2. Only support 2.5 SATA 7mm-9.5mm ssd / hdd, NOT support IDE. USB 3.1 Max speed up to 5GBPS ( theoretical speed). Equied with 2 USB Cables to meet different needs. USB C to USB C Cable, can use with USB C port laptop. USB C to USB A Cable, can use with USB A port PC or other divece. Plug and play, hot-swap supported, no drive required. Widely compatible with win10, win8, win7, winxp, Vista, and Linux. 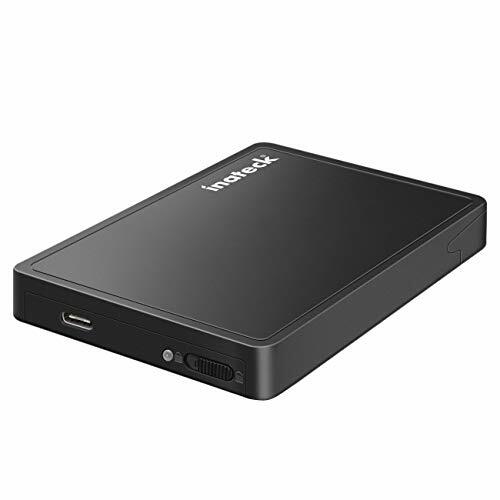 Convert 2.5 SATA SSD to a portable USB C HDD enclosure, easily connect to PC, laptop for data transfer. USB 3.1 GEN 1 Superspeed Max 5GBPS, support UASP. NOTE: The actual transmission speed is affected by different working environments. USB Type-C 2.5 hard drive enclosure, fits for 7.5mm/9mm SATA drive and capacity up to 6TBs. Easy installation, plug and play, USB C interface for easy use without worry about plugging in wrong side. Dual LED working lights, convenient to view working status. Come with PU waterproof pouch, prevent scratching of internal ssd and case. 2 different USB A-C and USB C-C cables meet different needs.SSD enclosure widely compatible with win10, win8, win7, winxp, Vista, and Linux. 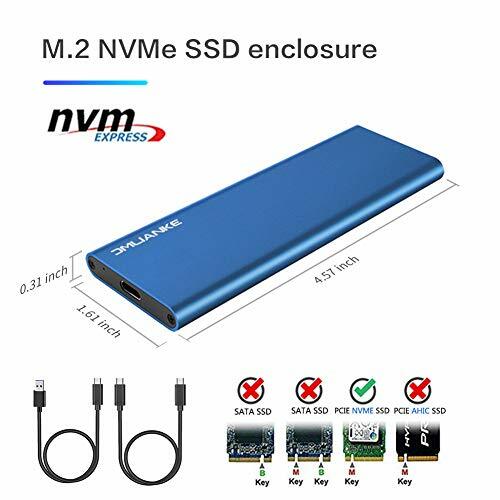 Product Specifications Product name: M.2 NVME PCIe SSD enclosure Interface type: M.2 NVME PCIe to USB 3.1 Transfer Rate : Up to 10Gbps Case Size: 118*40*8MM Material: Aluminum alloy USB 3.1 Cable Length: about 20cm Support SSD Drivers Size: 2230, 2242, 2260, 2280mm Color: Blue Features: 1, USB 3.1 Type-C super fast and high-capacity data transfer solution, Data transfer rate up to 10Gbps for USB 3.1 2, Supports NVME PCIE-based M.2 SSD 3, Easy installation & no driver required, No additional power required 4, Supports Plug & Play and Hot-Swapping 5, Supports any OS, like Windows, WinCE & Linux etc Please note that it supports NVME PCIE-based SSD only. It does NOT support SATA based SSD. You need to format your SSD when you use it for the first time, and then it will work. 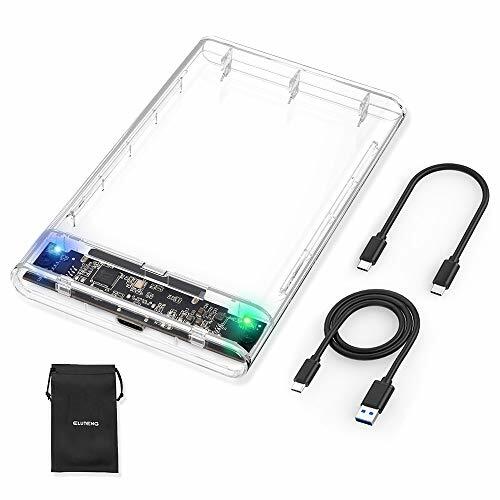 Package Included: 1 x M.2 NVME to USB 3.1 Type-C SSD Enclosure 1 x USB 3.1 Type-A to Type-C Cable 1 x USB 3.1 Type-C to Type-C Cable 1 x Screw Driver For the brand new SSD drive, it may can not find the drive, because the brand new SSD drive should be formated before first time using. And also need to make the ssd drive partition. Follow step is to find the brand new ssd drive: 1. use your mouse right key to click "Computer" it will show a drop-down menu 2. use your mouse left key to click "Computer Managment", 3. use your mouse left key to click "Disk Managment" After find the brand new ssd drive, please format it, and made partition. Then you can find the drive normally. NOTE:Only support M.2 NVMe SSD (PCI-E NVMe-based), doesn't support B-Key SSD(SATA-based) and M-Key M.2 SSD(PCI-E AHCI-based), support size of 2230 / 2242 / 2260 / 2280. UP to 10Gbps High speed M.2 NVME to USB 3.1 (Gen 2) SSD enclosure, perfect solution for data transfer and data backup, the actual transfer speed depends on the speed of your SSD, USB Port type, your computer performance, etc. Support System: Windows xp / Vista / Windows7 / 8 / 8.1 /10/ Linux / MAC. Support UASP with ultra fast transmission speed. Supports Plug & Play and Hot-Swapping. Only Compatible with NVMe SSD: Samsung SM951- NVMe, PM951-NVMe, 950 Pro NVMe SSD, SM961, PM961, 960 EVO, 960 Pro, 970 EVO, 970 Pro. INTEL 600P. Liteon T10. And other PCIE M.2 NVMe SSD. 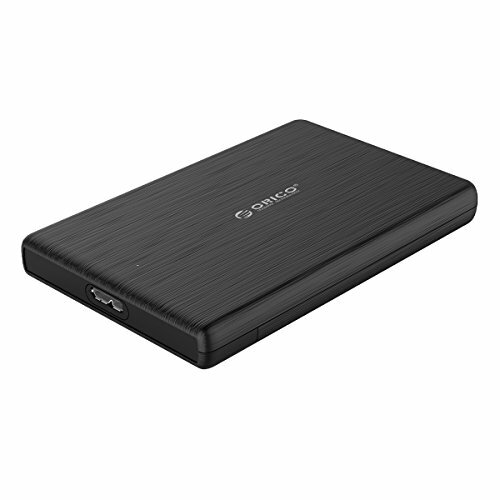 1.USB3.0 Shockproof and Waterproof external Hard drive enclosure, keep data safer than other models. 2.Integrated USB3.0 Cable, you never forget to take the cable ,very convenient design. 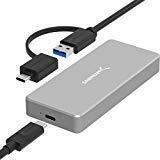 3.Supports UASP protocol for faster transfer rates than regular USB 3.0 connections, The speed reach 5.2Gbps. A new hard drive enclosure design with waterproof and shockproof ! 2.5 inch hard drives and SSDs is created for the perfect protection from water and shock with the compact silicon frame and ABS cover. it is IP66-rated and MIL-STD 810-certified for getting rid of concerns . make it work with MacBook Air and OTG Type C mobile phone. 1. Waterproof and Shockproof design, Keep data safer than other models. 2. Integrated USB3.0 Cable hard drive enclosure, you never forget to take the cable ,very convenient design. 3. 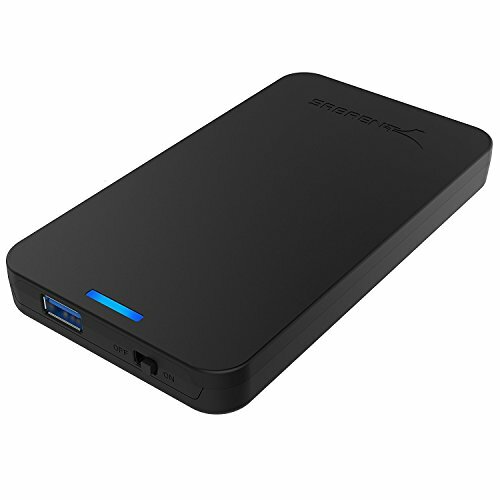 Compatible with SATA 2.5 inch hard drives and SSD, no need additional power. and compatible to USB 2.0 and USB 1.1. 5. Supports Hot-swapping, plug and play ,easy to use. Use mobile to go over contents and backup picture from mobile. Compact and useful design the product is made of Tested ABS plastic, very compact in design for carrying around. Effectively protecting 9. 5mm and 7mm 2. 5" Sate hard drives from accidental scratches. A foam pad is set inside for double security against shock. Lightning Type C transfer equipped with the latest USB Type C 3. 1(Gen1) port, The device can operate on different Type C devices including 2016/2017 MacBook, MacBook Pro, and etc. With UASP support, the device can transfer data at a speed up to 5Gbps! Smart sleep mode special sleep function to save power and better protect your hard drive. The product enters auto-sleep mode after being idle for 10 minutes. An indicator will notify you of sleep mode. Convenient application packaged with a USB C to C cable, saving you the trouble of purchasing one on your own. Tool-free, no driver needed, just plug and play! Your hard drive can be accessed within 3 seconds Once connected. Package content 1x USB Type C hard drive enclosure; 1x 50 cm USB C to C cable; 1x foam sticker pad; 1x multilingual user manual parameters Dimension: 1268015mm weight: 70G material: ABS plastic port: SATA III/Type C 3. 1 (Gen1) chip: ASM225cm compatibility: USB 3. 0/USB2. 0/USB1. 0 hot-swap: supported sleep mode: after 10 minutes lying idle transmission speed Win7: w R 300+ Win8: w R 400+ Win10: w R 400+ Mac OS: w R 400+. 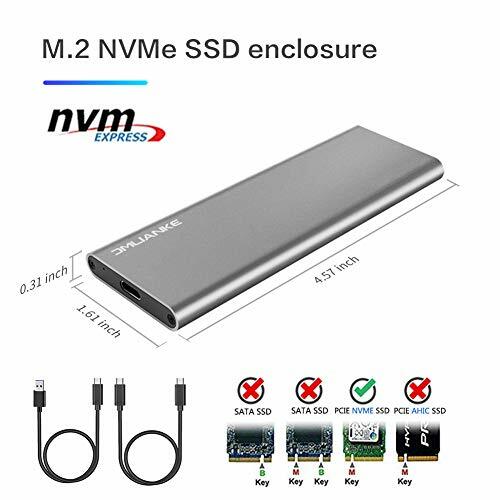 Product Specifications Product name: M.2 NVME PCIe SSD enclosure Interface type: M.2 NVME PCIe to USB 3.1 Transfer Rate : Up to 10Gbps Case Size: 118*40*8MM Material: Aluminum alloy USB 3.1 Cable Length: about 20cm Support SSD Drivers Size: 2230, 2242, 2260, 2280mm Color: Grey Features: 1, USB 3.1 Type-C super fast and high-capacity data transfer solution, Data transfer rate up to 10Gbps for USB 3.1 2, Supports NVME PCIE-based M.2 SSD 3, Easy installation & no driver required, No additional power required 4, Supports Plug & Play and Hot-Swapping 5, Supports any OS, like Windows, WinCE & Linux etc Please note that it supports NVME PCIE-based SSD only. It does NOT support SATA based SSD. You need to format your SSD when you use it for the first time, and then it will work. 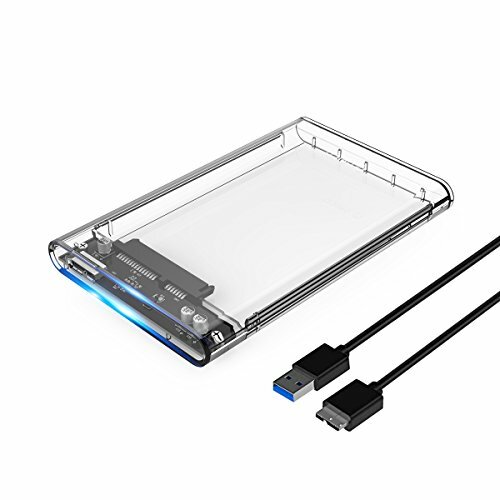 Package Included: 1 x M.2 NVME to USB 3.1 Type-C SSD Enclosure 1 x USB 3.1 Type-A to Type-C Cable 1 x USB 3.1 Type-C to Type-C Cable 1 x Screw Driver For the brand new SSD drive, it may can not find the drive, because the brand new SSD drive should be formated before first time using. And also need to make the ssd drive partition. Follow step is to find the brand new ssd drive: 1. use your mouse right key to click "Computer" it will show a drop-down menu 2. use your mouse left key to click "Computer Managment", 3. use your mouse left key to click "Disk Managment" After find the brand new ssd drive, please format it, and made partition. Then you can find the drive normally. 1.Support PCIe NVME 'M-Key' M.2 SSD ONLY!